Every memorable Christmas feast begins with a wonderful tablescape. From the elegant place settings to the thoughtful seat arrangements, the amount of preparation shows how much the host appreciates the presence of friends and family during this special occasion. The art of setting a formal dinner table goes beyond putting together flatware and china; it’s about creating an atmosphere where guests can truly enjoy each other’s company during the holiday season. 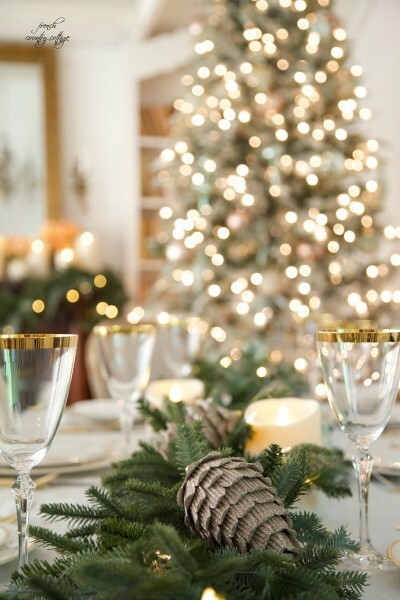 Be inspired by these Christmas table decoration ideas from Balsam Hill. Infuse timeless elegance into your dinner party with a more traditional tablescape design – red placemats and napkins complement the varnished wood table, while protecting it from hot food or drinks that may be served. The warm ambient lighting also adds to the appetizing look of this theme. 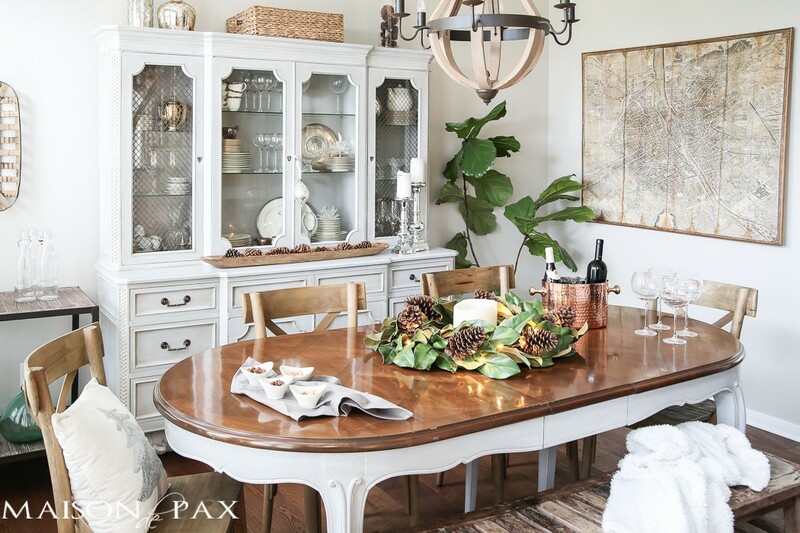 Create a lovely French farmhouse style Christmas dining room with greenery and mercury glass. The espresso-finished oval table anchors your space in effortless style and provides a handsome backdrop for your dinnerware, while the arrangement of our realistic Magnolia Wreath and Miracle Flame Triple Wick Candle captivates guests with its woodsy cottage charm. Aside from the table decorations, the candelabra-inspired chandelier adds romance to this set-up. Breathe life into your space by combining simple table elements. On this dining room table, our Noble Fir Gilded Garland is embellished with golden miracle flame candles and brass-finished candle holders, creating a gorgeous tapestry that complements not only the dining area’s rustic style, but also the natural greenery in the garden outside. As an additional focal point, a sidebar table could also be adorned with our Gold Shimmer Ornament Tree to hold trinkets, festive ornaments, and more decorative foliage! Break the red-and-green Christmas rule with a vibrant splash of color. 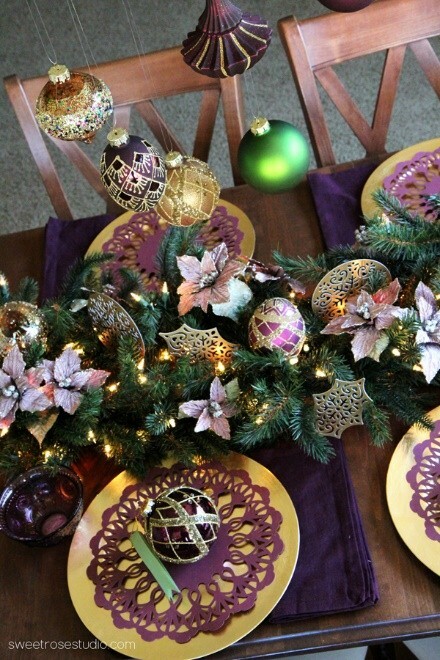 This table arrangement includes gold chargers decorated with purple laced cards, an assortment of finials, balls, and teardrops from our Napa Jewel Glass Ornament Set. For the centerpiece, our California Baby Redwood Garland takes center stage with Mini Purple Poinsettia Picks and metallic poster boards. Additional ornaments hang over the table for added visual interest. The combination of striking hues, varied textures, and glimmering accents breathes an air of sophistication into this modern table setting. 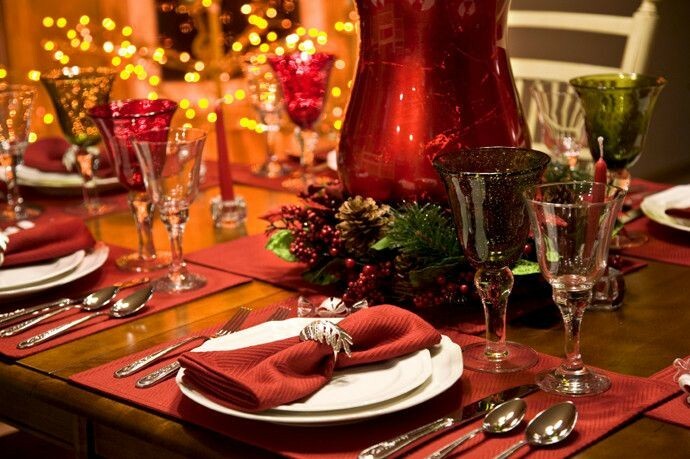 Ambience is key when hosting a Christmas dinner party or any get together. Whether you prefer a traditional spread or a contemporary ensemble, essential elements such as right lighting and centerpieces can turn each banquet into a feast that’s worth remembering.